One of the most common and destructive myths about dental hygiene is that it’s normal for gums to bleed. Dr. Miller would like everyone in Shelby to know that this is not the case! Imagine if we weren’t talking about gums- should any part of your body start to bleed whenever you touch it? The truth about bleeding gums is they are a sign of infection and/or irritation and can lead to serious problems that go way beyond your mouth if left untreated. Please read this article and educate yourself on how to keep your family’s teeth and gums safe. 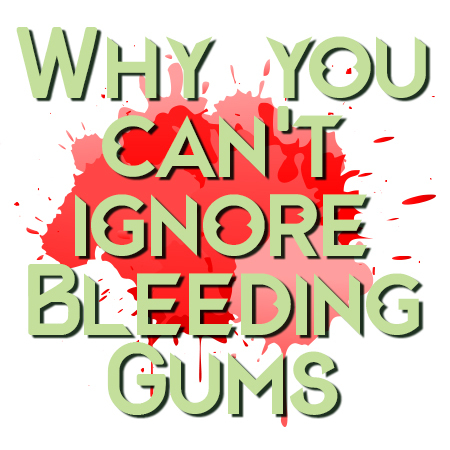 No matter what you may have heard, gums are never supposed to bleed. If your gums are bleeding during brushing or flossing, it is likely because you have a mild form of gum disease, known as gingivitis. It may also be because you are brushing too hard or flossing too deep into the gum tissue. Whatever the reason, bleeding gums is a sign that something isn’t quite right with your dental hygiene routine and it may be time to see Dr. Miller. Don’t Stop Brushing if your Gums Bleed! We at Discovery Dental can understand why someone might stop brushing and flossing if they believe that doing so is making their gums bleed. However, not brushing enough is usually the reason gum disease develops. That means putting brushing and flossing on hold will make it worse. Also, make sure to floss properly at least once a day. Flossing removes small, hard to reach particles that gum disease-causing bacteria are likely to feed on. While gingivitis can be dealt with easily and may even go away on its own, it can also lead to periodontitis, or advanced gum disease. Gum disease is the leading cause of tooth loss. It can also cause bad breath, fatigue, premature birth, low birth weight, problems with the jawbone, and even heart problems. We at Discovery Dental want all Shelby residents to have healthy gums and teeth, so please give us a call if you have questions or concerns about bleeding gums.